We sense the spatial world through a combination of touch, our kinesthetic sense, and sight, with most of the details provided by sight. Traditional mapping technology mimics this, with details provided by photos draped over sparse topographic control. As a consequence, we tend to assume that the world is to be understood by its color and that environmental mapping data are raster (bitmaps). Airborne LiDAR (Light Detection and Ranging) has changed all this. LiDAR combines differential GPS, an inertial measurement unit, and a rapid-fire scanning laser rangefinder to generate thousands of positions per second with accuracies of about 1 inch (Z, elevation) by 1 foot (X, longitude; Y, latitude). Combined, these positions describe the shape of the landscape with unparalleled precision. These shape data are revolutionizing the study of the Earth’s surface. 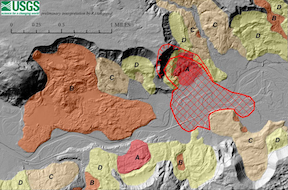 We’ll discuss some examples that include the discovery of numerous Holocene fault scarps in NW Washington, automated timber-stand mapping, investigation of a possible Clean Water Act violation, and the response to the 2014 Oso landslide. However, LiDAR is blind. To determine what kinds of trees cover a hillside, whether the cows are Herefords or Holsteins, or where there is snow, a picture is an appropriate tool. But if you want to know how tall the trees are, whether that brown thing is a cow or a dog, or what part of a snowy landscape is ice-covered, shape data (LiDAR) are far more useful. Ralph is a research geologist for the U.S. Geological Survey and an Affiliate Assistant Professor in the Dept. Earth & Space Sciences, University of Washington. He grew up in Seattle and product of local education, first getting his B.Sc. & M.Sc. in Geology at Western Washington University (Bellingham) and then his Ph.D. in Geological Sciences in 1985 from the University of Washington in Seattle. 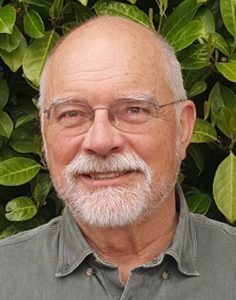 He was a post-Doc with the USGS in Reston, VA from 1985-87, then was hired by Branch of Western Regional Geology and moved to Menlo Park in 1988. He escaped CA in 1990 by being transferred back to Seattle and the homeland. His work has involved geologic mapping in the North Cascades (1978-1997), Salish Lowland (1996-present), and central Washington (2014-present). 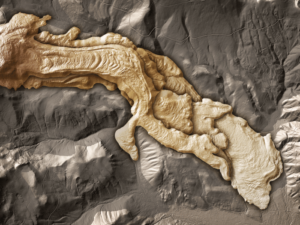 Got interested in digital topography in the early 1990s and as a result of his technical skills became the lead scientist for the Puget Sound LiDAR Consortium (1999-2017). However, he considers himself a structural geologist—He watches the Earth move.